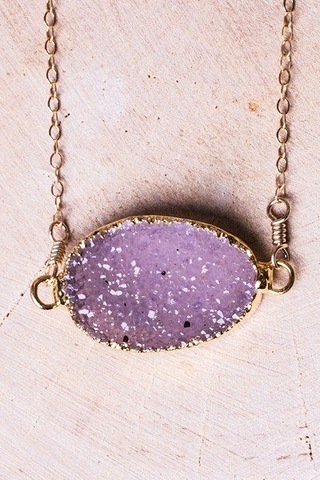 The Plum Teardrop Druse Necklace will wake up any ensemble. 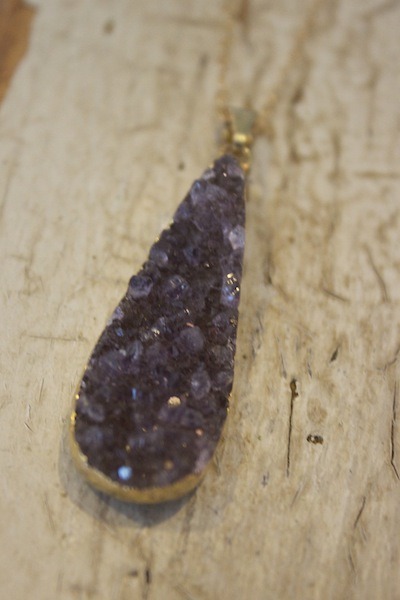 This is a 14K gold filled necklace with a plum purple druse crystal pendant. 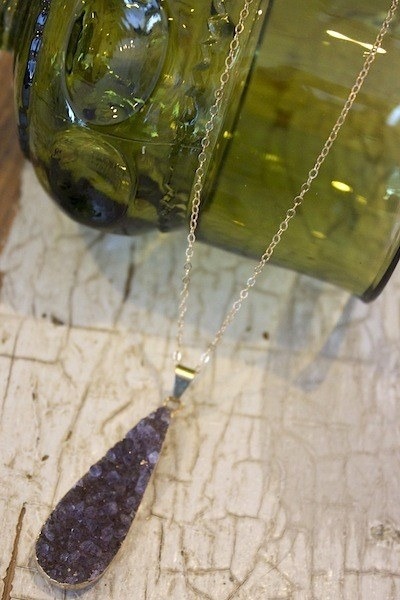 This necklace sparkles in the light and looks great as a layering piece. 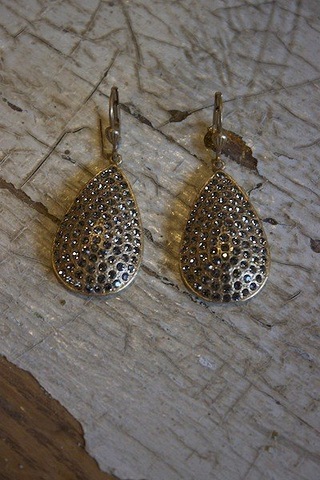 Made by London Manori.